DARK MATTER, want to know more? 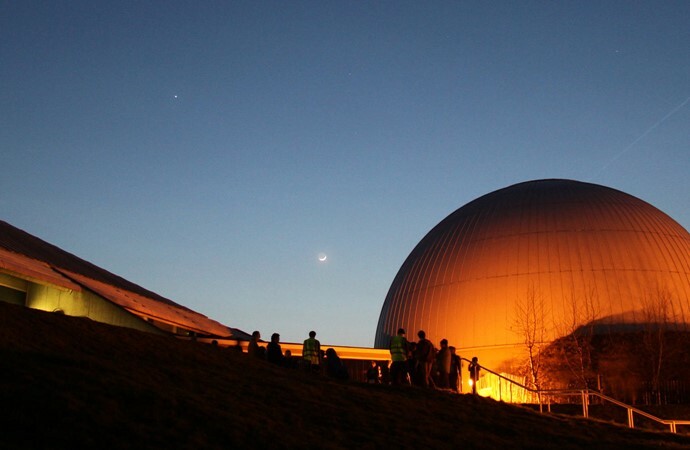 Join us on Wednesday 14th December for the astronomy trip to Winchester Science Centre. Justin completed his PhD in theoretical astrophysics at Cambridge University, UK in 2004. After a two-year postdoctoral research position, also in Cambridge, he moved to the University of Zürich to join the computational science group. In 2009, he joined the University of Leicester as a lecturer in theoretical astrophysics, and in October 2010 he was awarded an SNF assistant professorship at the ETH Zürich. In April 2013, he took up a full Chair at the University of Surrey, UK. He was recently awarded the MERAC Prize by the European Astronomical Society for his high impact research in computational astrophysics and cosmology. We leave school at 4:45 in the minibus, the lecture is at 6:30 followed by a planetarium show, and we return to school at 9 o’clock. Letters available from the science prep-room. The trip cost is £12.50, to cover ticket and transport. Posted by plandsscience on November 15, 2016 in Astronomy, science.